Start off your visit on the 1st (Sun): examine the collection at Hall of Fame and then contemplate in the serene atmosphere at Thiksey Monastery. To find reviews, maps, traveler tips, and tourist information, you can read our Leh attractions planner . Bengaluru to Leh is an approximately 5.5-hour flight. You can also drive. On the 1st (Sun), wrap the sightseeing up by early afternoon so you can travel to Agra. Kick off your visit on the 2nd (Mon): admire the striking features of Jama Masjid, admire the landmark architecture of Agra Fort, and then admire the striking features of Taj Mahal. For where to stay, more things to do, ratings, and tourist information, use the Agra attractions planner . You can do a combination of flight and train from Leh to Agra in 5 hours. Another option is to drive. In July in Agra, expect temperatures between 94°F during the day and 80°F at night. Finish your sightseeing early on the 3rd (Tue) so you can drive to New Delhi. On the 3rd (Tue), take in nature's colorful creations at Humayun's Tomb and then delve into the lush surroundings at Jahanpanah City Forest. 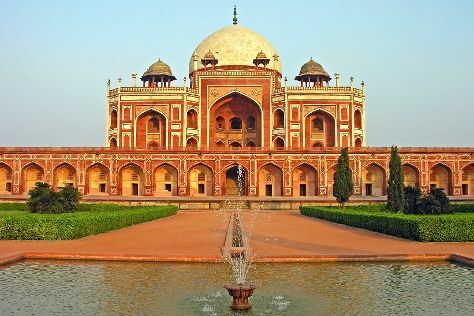 To see other places to visit, ratings, where to stay, and more tourist information, read New Delhi day trip app . You can drive from Agra to New Delhi in 3 hours. Alternatively, you can take a train; or take a bus. Expect a daytime high around 95°F in July, and nighttime lows around 80°F. Wrap up your sightseeing on the 4th (Wed) to allow time to travel back home.